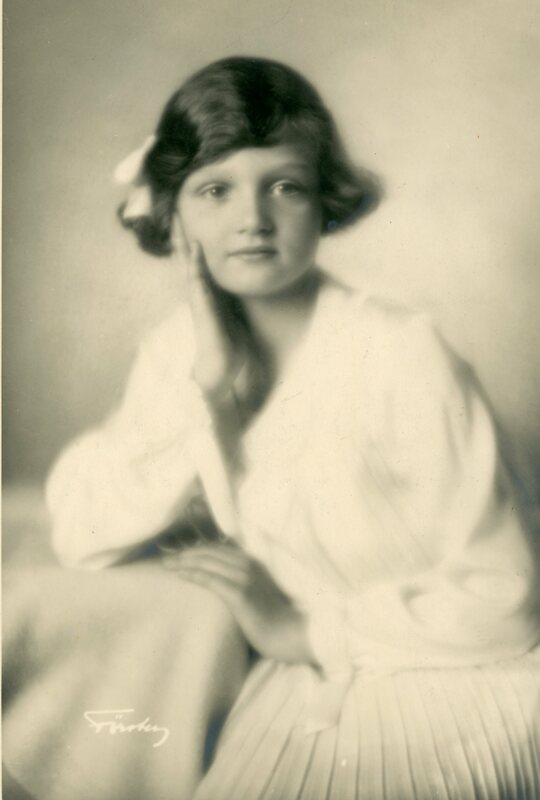 Archduchess Charlotte of Austria was born on 1 March 1921 at Villa Prangins, Switzerland the daughter of Austria-Hungary’s exiled sovereign, the Blessed Emperor Karl of Austria, known in Hungary as King Károly IV, and his wife, the Empress-Queen Zita. She was christened into the Roman Catholic Church by the Bishop of Veszprém, Nándor Rott, on 2 March 1921 receiving the names Charlotte Hedwig Franziska Josepha Maria Antonia Roberta Ottonia Pia Anna Ignatia Marcus d’Aviano. The Hungarian version of her first given name was Sarolta. Archduchess Charlotte, who was the seventh of the Emperor and Empress’s eight children with her six elder siblings being Crown Prince Otto, Archduchess Adelheid and the Archduke’s Robert, Felix, Karl Ludwig and Rudolf, was born in the midst of a turbulent period for her family. In the year of her birth her father made two unsuccessful attempts to regain the throne of Hungary and although he had been returned to Switzerland after the first attempt in March, after the failure of his second attempt in November, which he made accompanied by his wife, the Emperor and Empress were exiled from central Europe being taken via a British warship to the Portuguese island of Madeira in the North Atlantic. With Archduchess Charlotte and her siblings at the Wartegg Castle in Switzerland under the care of a nurse it would be some months before their parents were granted permission to be reunited with their children. In January 1922 with permission having been received Archduchess Charlotte and her siblings, bar Archduke Robert who was recovering from appendicitis, left Switzerland embarking upon a long train journey through Europe to Lisbon where they boarded a British warship which reached Madeira on 2 February after a four day voyage. Sadly the happy reunion of the family on Madeira would be tragically short lived. As exactly one month after Archduchess Charlotte’s first birthday her father succumbed to illness meaning Archduchess Charlotte and the remaining members of the family were soon on the move once again, leaving Madeira and returning to mainland Europe in May 1922 upon a Spanish warship. The family initially stayed at the El Pardo Royal Palace in Madrid where Archduchess Charlotte’s younger sister Archduchess Elisabeth was born on 31 May, before moving in June 1923 to the Uribarren Palace at Lekeitio in the Basque region of Spain where the family lived for the next six years. During this period Archduchess Charlotte would begin her initial education under the instruction of Austrian tutors and in the summer of 1928 receive the Sacrament of Confirmation in the Catholic Church alongside her elder brother Archduke Rudolf and younger sister Archduchess Elisabeth. In September 1929 Archduchess Charlotte left Spain moving with her family to Belgium, where after a four month stay in the Brussels mansion of the Counts of Ursel, in early 1930 they took up residence just outside the city at Ham Castle in Steenokkerzeel, which was chosen for its proximity to the University of Leuven where her elder siblings were to study. While living in Belgium, Archduchess Charlotte continued with her education studying at the French speaking Dames of Marie School in Brussels from 1933 until 1936 when she began, via a distance learning arrangement while working with a tutor at her home in Steenokkerzeel, to follow the curriculum of the Schottengymnasium School in Vienna. However with the Nazi Anschluss of Austria in 1938 she was unable to complete her final exams and had to change, again via a distance learning arrangement, to the Luxembourg Athenaeum School’s curriculum working again from home with a new tutor who was familiar with the new curriculum. In 1939 she enrolled on an economics course at the University of Leuven. After a peaceful decade at Ham with the outbreak of the Second World War and the German invasion of Belgium in May 1940 the now 18 year old Archduchess Charlotte and her family became refugees having to flee from their home and head into northern France. As the German advance continued into France the family moved south towards the border with neutral Spain which they crossed into on 18 June, before continuing onto Portugal. With Europe no longer seeming safe, the decision was made for the family to go to the United States where Archduchess Charlotte’s elder brother, Archduke Felix, was already based. After being granted visas Archduchess Charlotte made her flight across the Atlantic by flying boat with her elder sister Archduchess Adelheid and brothers the Archduke’s Karl Ludwig and Rudolf, landing in New York in July 1940. As the departure from Belgium had disrupted Archduchess Charlotte and her brothers the Archduke’s Karl Ludwig and Rudolf’s studies at the University of Leuven, while their younger sister Archduchess Elisabeth still had not completed her schooling, their mother began a search for a new base for the family to enable them to resume their studies. 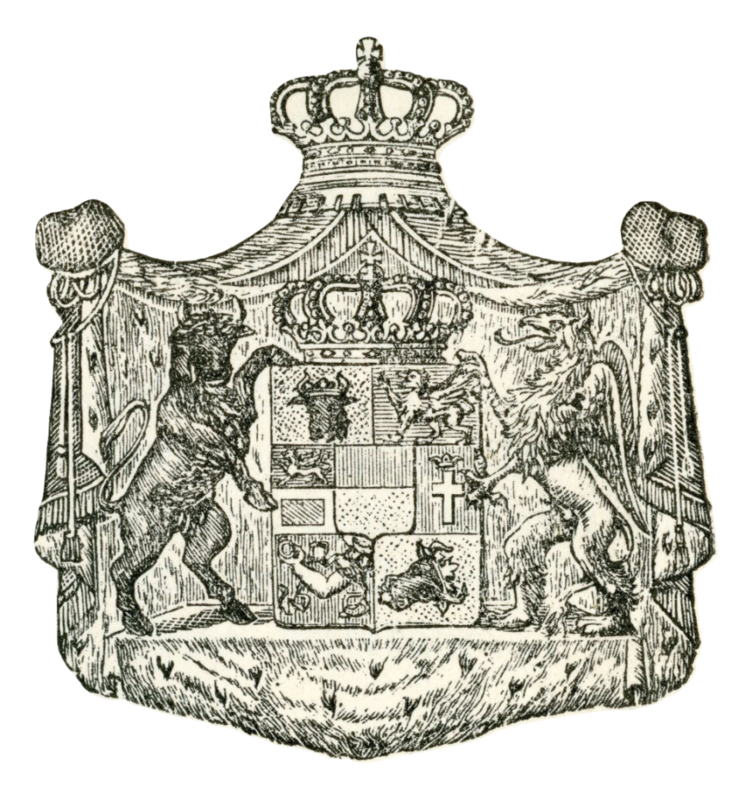 After taking a temporary residence in Royalston, Massachusetts as guests of a friend of Archduke Felix, upon hearing that two former Leuven professors were now teaching at the Laval University in Quebec, Canada, Archduchess Charlotte’s mother decided to move to the province to enable her four youngest children to resume their studies. In Quebec the family lived at the Villa St Joseph which they rented from the Sisters of Joan of Arc. In September 1940 Archduchess Charlotte began studying for a degree in economics at Laval University’s School of Social Sciences, Politics and Economics devoting her thesis to the subject of “Social Hygiene”. Away from their studies the family became acquainted with the Earl of Athlone, the country’s Governor General and uncle of Britain’s King George VI, and his wife Princess Alice of Albany, a granddaughter of Queen Victoria, who took Archduchess Charlotte, her mother and sister out to dinner or the cinema, and when the family was in the capital Ottawa on visits to places such as the National Art Gallery, the Dominion Archives and ice hockey games. After finishing at Laval in the summer of 1942, Archduchess Charlotte soon began a second university course at the School of Social Service at the University of Fordham in New York where she studied to become a social worker in just 15 months rather than the two years expected by not taking a holiday. Starting in October 1943, Archduchess Charlotte, sometimes using the alias Charlotte de Bar, began work as a social worker devoting the next 12 years of her life to working for the Catholic charity Caritas in Manhattan’s deprived East Harlem district. Archduchess Charlotte who had a home in Tuxedo Park, New York, where her mother Empress Zita also lived until 1953 when she returned to Europe, on occasion represented the House of Habsburg-Lorraine at various events in the city when they related to the family or the country’s which made up the old Austro-Hungarian empire. 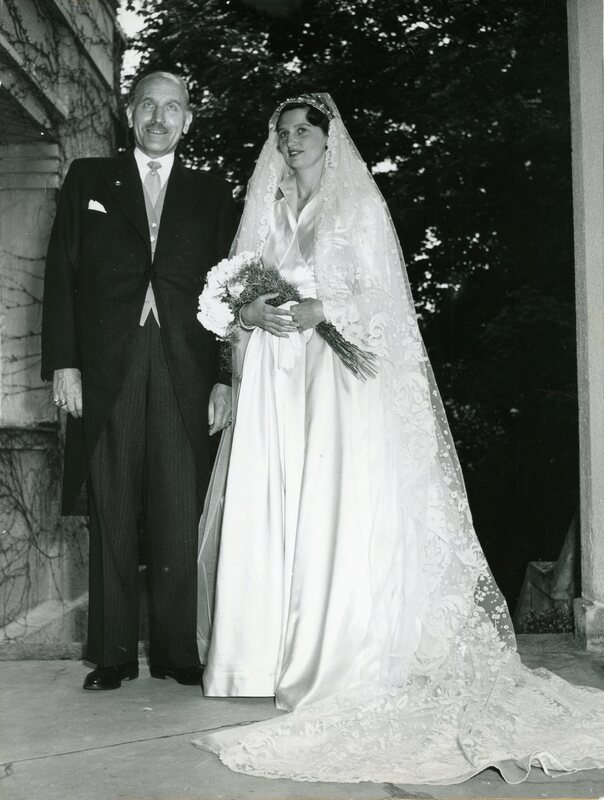 While on holiday in Europe in 1955 Archduchess Charlotte met the widowed head of the House of Mecklenburg-Strelitz, Duke Georg, whose elder son Duke Georg Alexander was married to her second cousin Archduchess Ilona of Austria. Archduchess Charlotte’s brother the head of the Imperial House of Habsburg-Lorraine, Crown Prince Otto, announced the couple’s engagement in May 1956. The couple were married in a civil ceremony on 21 July 1956, followed by the religious wedding at the church at Pöcking a few days later on 25 July. Following the wedding the new Duchess of Mecklenburg and her husband spent five hours on the terrace of Crown Prince Otto’s villa receiving the congratulations of some of the five thousand Austrians who had made the short trip to Pöcking to celebrate the festivities. Archduchess Charlotte would spend her married life in Sigmaringen with her husband at his home the Prinzessinnen-Palais which they shared with Duke Georg’s youngest child Duke Carl Gregor, the two elder two children Duke Georg Alexander and Duchess Helene both already being married. 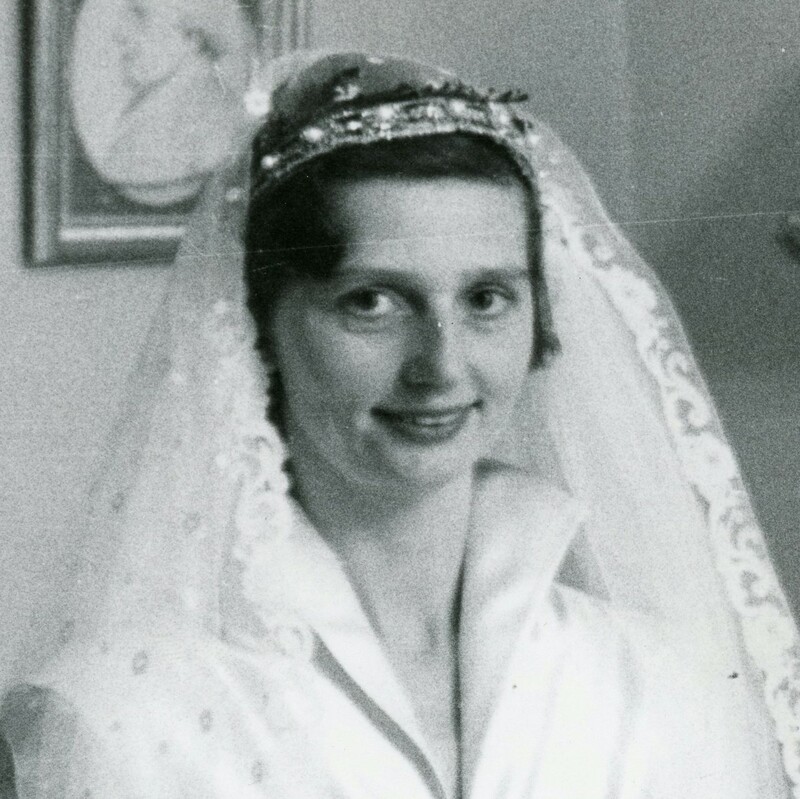 Archduchess Charlotte who was the last of her siblings to enter into marriage, excluding her elder sister Archduchess Adelheid who died unmarried and childless, was also the first to be widowed following Duke Georg’s unexpected death on 6 July 1963. Archduchess Charlotte was also the only married sibling to be childless, although in addition to her late husband’s children and grandchildren she also had a large number of nieces and nephews. 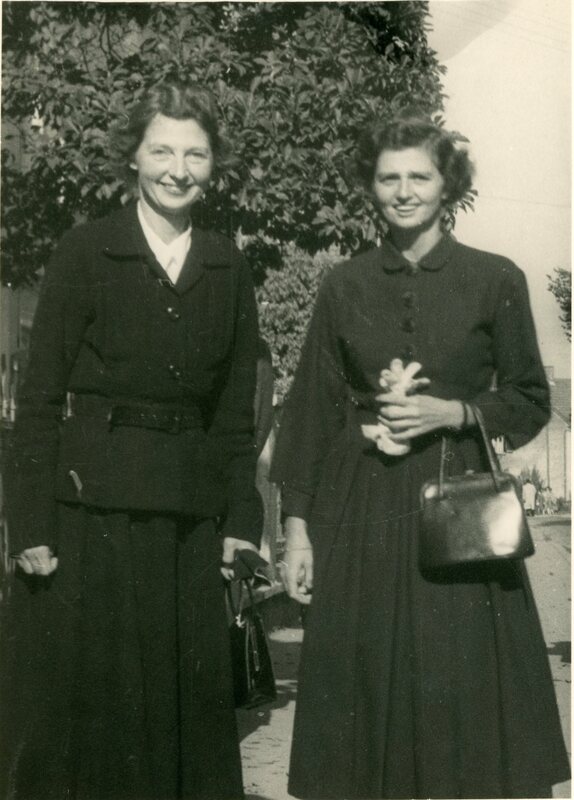 A year after being widowed Archduchess Charlotte moved to Munich where she resumed her social work with Caritas, helping young Catholic women and girls with the welfare of prisoners being of particular focus for her. She lived and worked here for the next 25 years until her death on 23 July 1989 aged 68 being interned alongside her late husband in the Grand Ducal Family’s crypt in Inzigkofen. Archduchess Charlotte died four months after her mother who she had cared for despite being seriously ill herself.